It is imperative that we all become aware of the energy we consume on a daily basis. Only with this knowledge are we able to make necessary changes to save money, time and ultimately, energy. SLH Systems offers energy management systems that allow you to monitor and manage your energy usage and make the changes necessary. 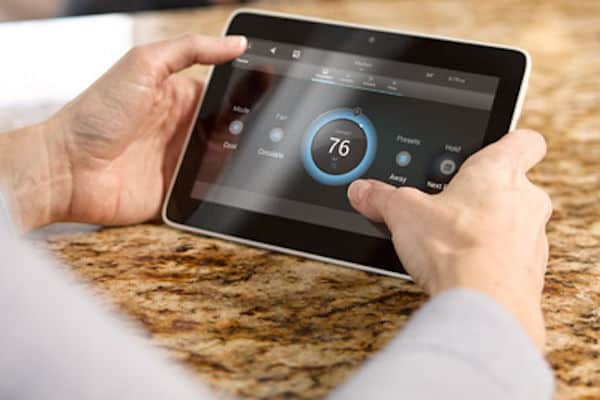 Our Control4 based energy management systems allow you to monitor and control your energy consumption of some large appliances such as the air conditioner, lighting and other electronics, giving you a detailed history as well as an accurate real time analysis so you know exactly what to expect the next time you get the bill in the mail. For example, you can make sure your heating is turned off while you are at work, and is turned on half an hour before you arrive back home. Monitor which lights are being used the most, and change the bulbs to energy savers to save money. Our team of skilled technicians will install systems seamlessly and are happy to answer any questions you have about the new addition to your home. We understand that energy management is not the end goal, but part of the process of becoming energy independent one day, and we will work with you to try and achieve this going forward. It has never been easier to run a green, energy efficient home than with an SLH energy management system!